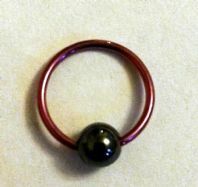 Home > Jewellery > Body Jewellery > Titanium Nose Rings,earrings,BCR'S > 10mm Titanium Nose ring,hoop/earring with Haematite Ball,BCR. 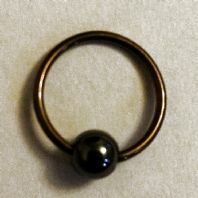 10mm Bronze titanium nose ring. 10mm pink titanium nose ring. 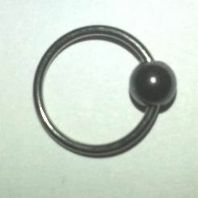 10mm Polished Silver titanium nose ring.